It’s never planned that an accident will happen during holiday celebrations. But stress can be involved, even beforehand, in order to prepare for dinners, desserts, and gift-giving. In the midst of all this preparation, other daily activities are put on hold, such as exercise schedules and regular times of relaxation. Even during the holidays, high-calorie foods like pizza, burgers, pasta, and steak are chosen over healthier dinners. Overall, simply staying healthy over the holidays can be a challenge, especially for seniors as they are at a higher risk for developing health issues. On the other hand, having a caregiver monitor food intake and preparing healthy meals can alleviate a lot of this stress. Other assistance like light housekeeping, shopping, baking, and decorating can also be handled by an in home care aide, so they can focus more on looking forward to the holidays instead of worrying about them. From fatty foods to tantalizing tasty treats, the holidays are the perfect way to gain a few extra pounds. But a good tip to keep in mind is to prepare meals while keeping other holiday events in mind. For instance, if a big dinner is served during Christmas Eve, keep it lighter, like a chicken salad on Christmas. It’s hard to divert away from the heavier foods, but you will feel much healthier with the salad compared to a heavy casserole. One of the best ways to stay healthy is to choose water over sugary drinks like soda, juice, and alcohol. Especially for seniors, not drinking enough fluids can lead to hospitalization. To make it easier for yourself, keep water easily accessible at home and always bring a bottle of water with you when running errands. Everyone is different, but many seniors have special diet restrictions such as not being able to eat dairy, gluten, or foods that are high in sugar. Following these diets can be difficult around the holidays, simply because heavier foods are easily accessible and one is not usually conscious of the amount of snacks they eat before the meal is ready. Even before the celebrations, stress can lead to overeating or indulging in comfort food, leading to further problems down the road. To make it easier on yourself, post your dietary restrictions on your refrigerator to constantly remind yourself of what you should and shouldn’t be eating. Instead of opening a bag of chips, cut up some raw vegetables and keep them in the refrigerator for convenient snacking. In addition to impairing functions, drinking alcohol can cause adverse effects when paired with medications. So instead of serving wine, champagne, or fancy cocktails, be creative and drink low to 0-calorie beverages instead, like iced tea, water, or even flavored water. Many Americans, especially seniors, often spend more than what their budget allows for Christmas gifts. To keep stress levels low, consider having a family grab bag, where each member of the family gives and grabs one present instead of purchasing gifts for everyone. The holidays are the most crowded times at airports, with delays, cancellations, and sky high flight prices. But this doesn’t stop flocks of people from traveling long distances to spend time with their families. Regardless if you are traveling by car, train, or plane, keep in mind that you will need more rest to be able to fully enjoy your time with your family. So instead of hitting the malls and grocery stores the minute you arrive, take a quick nap or watch some TV and relax before going out again. In addition to planning, cooking, and cleaning for holiday parties, just hosting one can take a huge toll on one’s stress level. If you are the one to typically hold the big event, consider passing it on to a younger family member. But if you would still like to host the dinner in your home, ask others to help out, such as cleaning or cooking to take some of the work off your shoulders. While it doesn’t snow everywhere in the country, the cold weather and snow doesn’t make outdoor walks sound appealing. But remember that it’s still important to maintain an active exercise schedule. Ask your caregiver to help bundle up and take a walk around the block. You may also want to consider purchasing an exercise machine to keep in your own home so you don’t have to go outside. Part of your caregiver’s job is to make sure that your home is easily accessible and that it provides a safe environment for you at all times. If you are traveling, get to know the environment of the home you will be spending time/sleeping in to make sure that it’s safe. Ask your relatives to make any adjustments as needed. If you find any hazards, such as a wet floors, heavy objects on high shelves, slip-and-trip hazards, etc., remove them right away to prevent any injuries. With all the cooking and cleaning going on during the holiday celebrations, it can be easy to be consumed in the chores, trying to prepare everything while everyone else is enjoying themselves. Don’t be afraid to ask your family to help out with a few things, like preparing a side dish, taking out the trash, or washing dishes after the meal. This way, you can enjoy your time and still get things done as needed. While they are supposed to be fun and exciting, the holidays can be very stressful, especially for seniors. With all the shopping, cooking, cleaning, and decorating, it’s easy to become worn out in the middle of it all. Always remember that it’s ok to take breaks and even some time out to recover before going out again. If the family is planning an all-day outing, make sure to get plenty of rest beforehand or at least spend a few hours resting to make sure you are ready for the outing. If you ask anyone that hosts a holiday celebrations in their home, they’ll tell you that there’s a lot of work involved. Shopping, cooking, cleaning, decorating, and any other preparations needed to prepare for family traditions are involved. This can quickly become overwhelming. But in the midst of all this preparation, remember that home care agencies are always ready to send a caregiver to lend a helping hand. A caregiver can take a lot of stress off your plate by helping out with cooking, light housekeeping, shopping, transportation, and more. You can also get some extra company in the process by building a friendly relationship with them as they take the holiday weight off your shoulders. If you live in or near the Hollywood, FL area, contact Assisting Hands. Their caregivers are not only trained but experienced to be there exactly when you need them, providing the helping hand you need to get things done. For the holidays, they can help with shopping, decorating, and even cooking as you get to know them and build a long-lasting relationship. 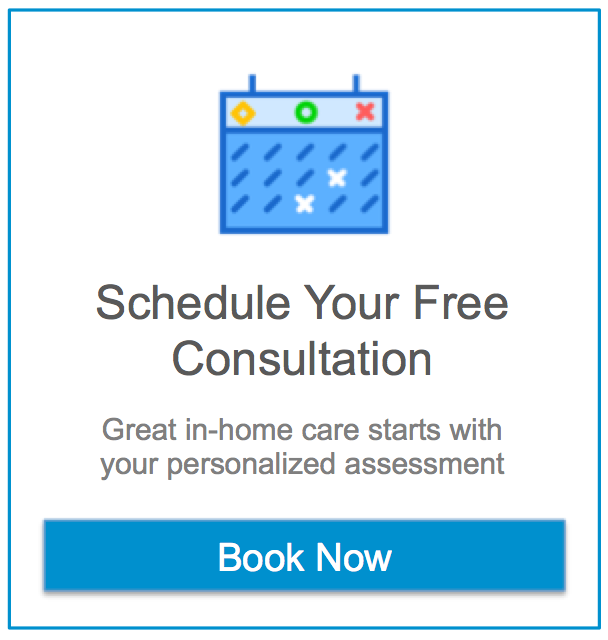 To learn more about our caregiving services or to schedule a free consultation, contact Assisting Hands at (954) 644-7276 or fill out a contact form. We look forward to speaking with you.